Many health professionals encourage people to eat more fish to improve overall health. The American Heart Association recommends eating fish twice a week. The reason why is that fish contains nutrients called fatty acids that our bodies need but can't produce on their own. Some good food sources of these fatty acids are included in the table at the end of the article, below. Omega-3 fatty acids have been studied for their potential as a treatment option for inflammatory bowel disease (IBD). Fish oil, which contains omega-3 fatty acids, appears to have anti-inflammatory properties and has also been researched as a treatment for several other conditions, including hypertension (high blood pressure), and rheumatoid arthritis. Fish oil supplements contain two types of omega-3 fatty acids: EPA (eicosapentaenoic acid) and DHA (docosahexaenoic acid). These two types of fatty acids have anti-inflammatory properties that are important to several processes in the body, including blood clotting and immune function. EPA and DHA also provide other health benefits such as lowering blood pressure and improving cardiovascular health. Some people find that they can't tolerate fish oil supplements, though: patients report that troubling side effects from fish oil supplements can include bad breath (halitosis), belching, and diarrhea. Some ways to reduce the unpleasant side effects including choosing a supplement with an enteric coating, taking the fish oil with food, splitting the dose, and choosing a high-quality brand. Fish oil supplements and omega-3 fatty acids have been studied for several years as a complementary or alternative treatment for IBD (Crohn's disease in particular). Some researchers suggest that fish oil may work by reducing existing inflammation but that fish oil is not necessarily effective in preventing inflammation. 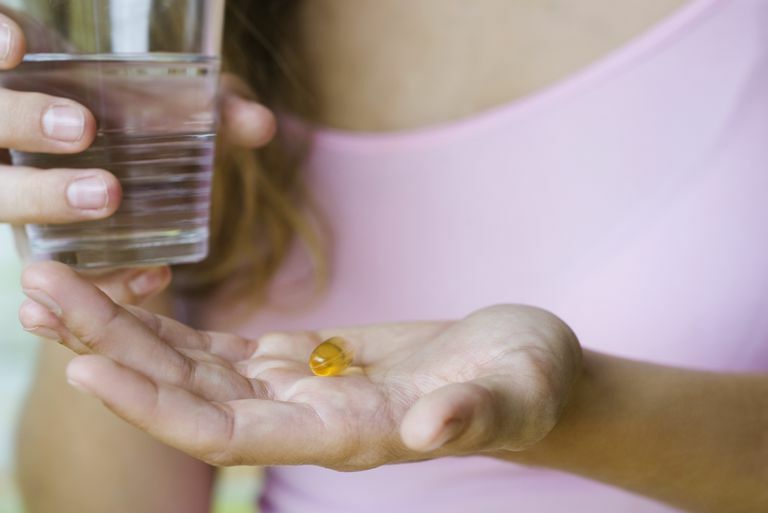 Some early studies showed that fish oil supplements might be helpful for people with IBD, but there is now a general consensus that these supplements are not beneficial. There's concern that these supplements are expensive, and that people with IBD might be spending money on something that isn't proven to work. The results of two randomized, double-blind, placebo-controlled studies seem to have provided the final word on the effectiveness of fish oil supplements. The Epanova Program in Crohn's Study 1 [EPIC-1] and EPIC-2 were done between 2003 and 2007. In these studies, 363 and 375 patients with Crohn's disease were given either 4 g a day of omega-3 free fatty acids or a placebo for up to 58 weeks. No other treatments for IBD were allowed during the study. The rate of relapse for those who took the supplement versus those who took the placebo was similar in both studies (32% and 36% in EPIC-1 and 48% and 49% in EPIC-2). There is always room for more research to be done and for new evidence, but most IBD experts agree at this point that fish oil supplements are not helpful for preventing a Crohn's disease flare-up. Fish oil supplements may be helpful for other inflammatory conditions, however, and if you choose to take these supplements, be sure to let your healthcare team know. Eating fish is also a good way to get fatty acids into your diet, and eating fish twice a week, as suggested by the American Heart Association, could provide the fatty acids the body needs. Belluzzi A, Boschi S, Brignola C, Munarini A, Cariani G, Miglio F. "Polyunsaturated fatty acids and inflammatory bowel disease." Am J Clin Nutr. 2000;71(suppl):339S-342S. Belluzzi A. "N-3 fatty acids for the treatment of inflammatory bowel diseases." Proc Nutr Soc. 2002;61:391-395. Belluzzi A, Brignola C, Campieri M, et al. "Effect of an enteric-coated fish-oil preparation on relapses in Crohn's disease." N Engl J Med. 1996;334:1557-1560. Dichi I, Frenhane P, Dichi JB, et al. "Comparison of omega-3 fatty acids and sulfasalazine in ulcerative colitis." Nutrition. 2000;16:87-90. Feagan BG, Sandborn WJ, Mittmann U, et al. "Omega-3 Free Fatty Acids for the Maintenance of Remission in Crohn Disease. The EPIC Randomized Controlled Trials." JAMA. 2008;299(14):1690-1697. doi:10.1001/jama.299.14.1690.